Red Bluff City Hall is located at 555 Washington Street, Red Bluff, CA 96080; phone: 530-527-2605. Photo: William B. Ide Adobe ca. 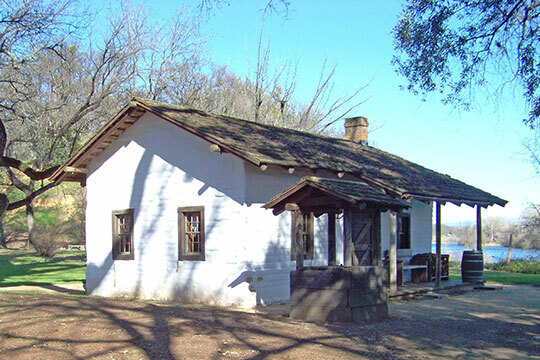 1852, William B. Ide Adobe State Historic Park, Red Bluff, CA. California Historic Landmark. Photographed by user:Debra Heaphy, 2011, (own work) [cc-by-3.0 (creativecommons.org/licenses/by/3.0)], via Wikimedia Commons, accessed August, 2015. Red Bluff-Tehama County Chamber of Commerce, Welcome to Red Bluff, 2012, www.redbluffchamber.com, accessed August, 2015.